Boxwood, ivory rings, silver key, Pitch 395 Hz. Boxwood, ivory rings, silver key, Pitch 415 Hz. 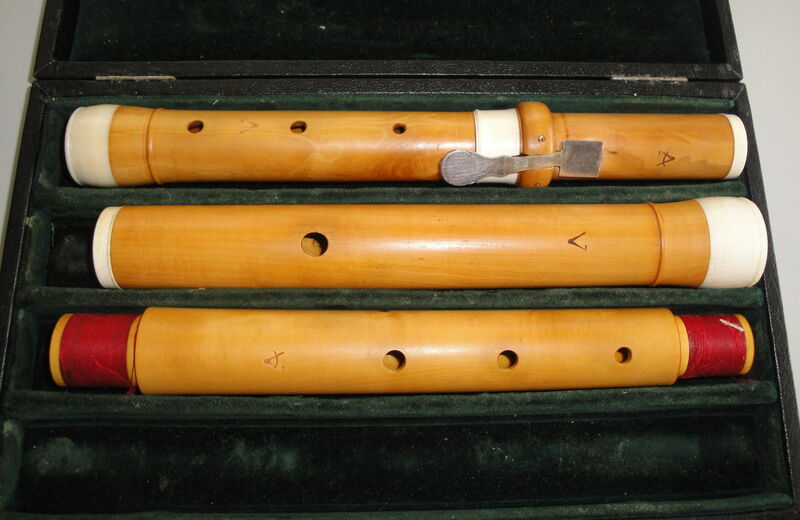 Fourkey flute, pitch a=430 Hz, Whole flute in ivory, silver keys. No copy.